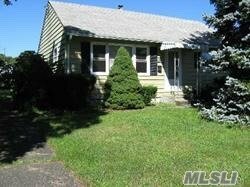 Great Roomy 2 Br Ranch With Large Expandable Attic Able To Create Cape Out Of Ranch. Home Has New Updated Gas Heating/200 Amp Service/Updated Hw Heater. Half Fin Bsmt With Multiple Exits And So Much More.